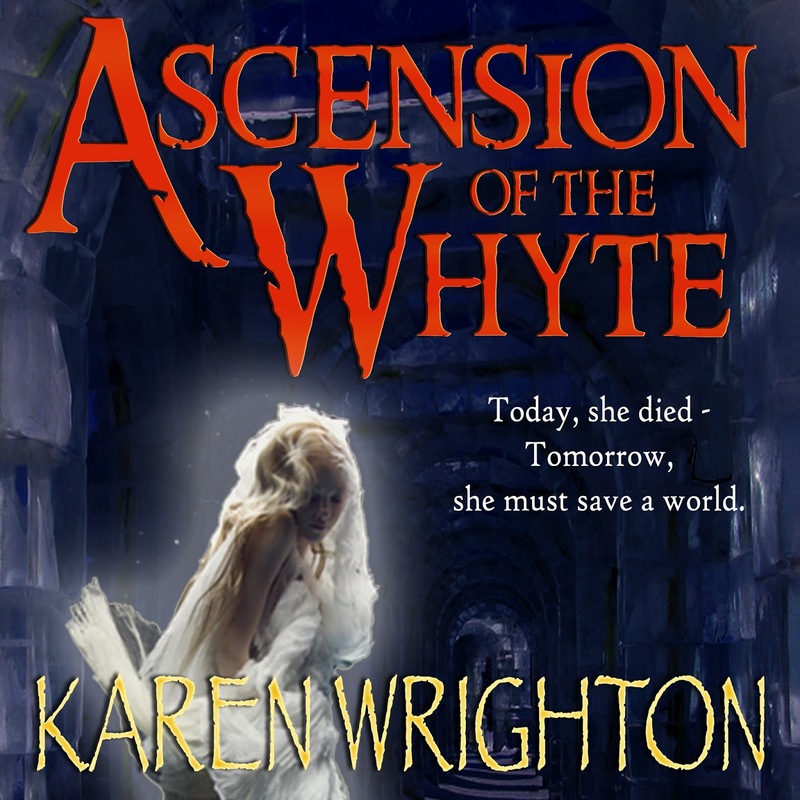 Ascension of the Whyte - Audiobook OUT NOW! 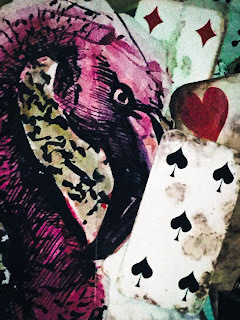 Yesterday, I met some interesting people you may have heard of, the White Rabbit, the caterpillar, the Cheshire cat, the Mad Hatter, and of course the terrifyingly malevolent Queen of hearts. 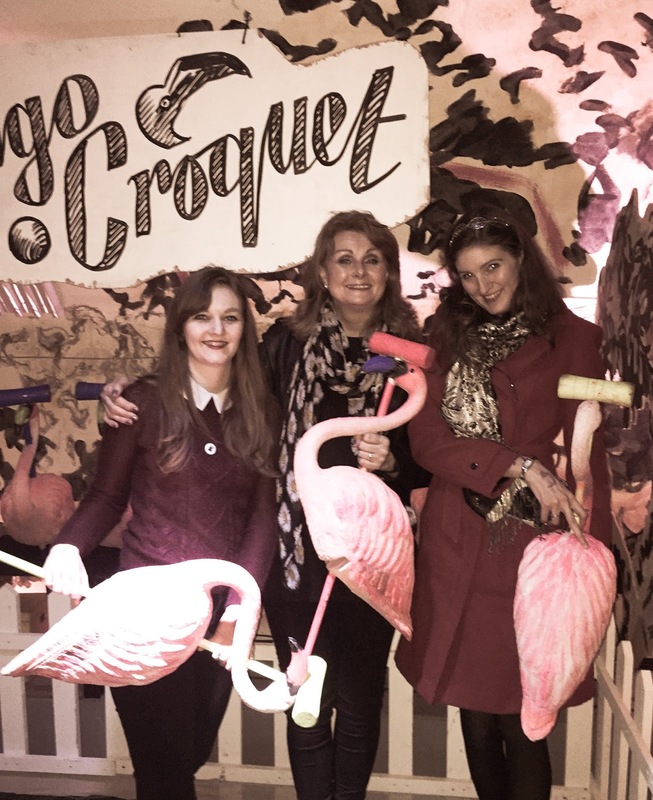 These are just some of the inhabitants of Alice's adventures underground, an interactive play set in a disused underground tunnel, beneath Waterloo Station in London. My daughter Anna bought me, her partner Dan, sister Faye, and husband Kevin, tickets for Christmas. 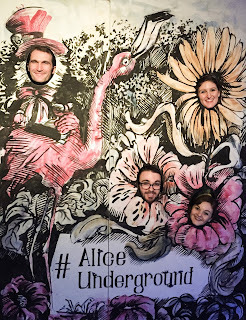 Yesterday we travelled down to London and the five of us descended into the bowels of the London Underground into Lewis Carroll's Wonderland. 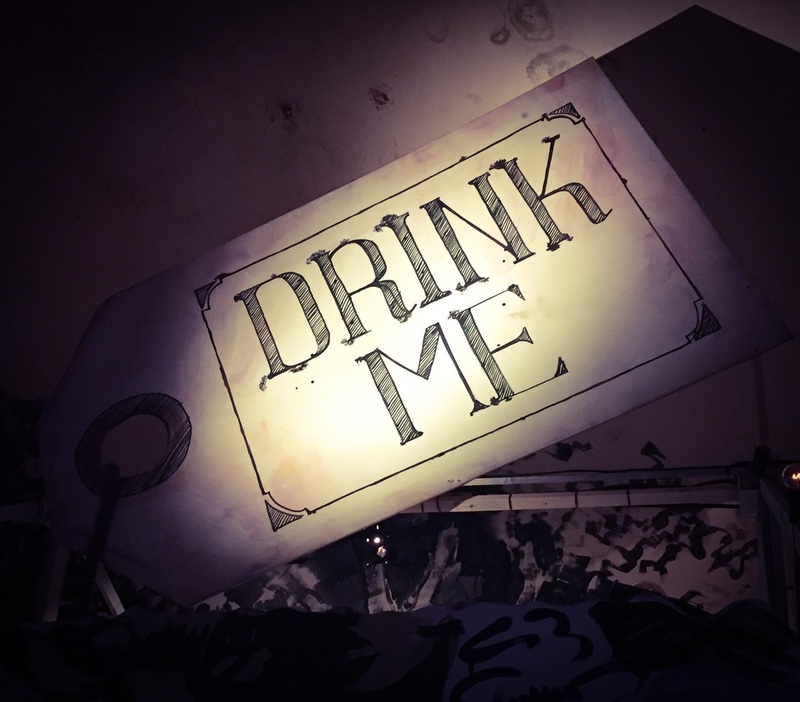 The settings were dressed in a wonderfully eclectic fashion, each room in the underground rabbit warren skillfully designed to illustrate a scene from Lewis Carroll's wonderful story. 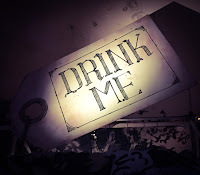 Entering as a large group, we were guided through various tunnels until we reached a room where we were asked to make a decision - Drink Me? or Eat Me? Depending on your choice you are sorted into either red cards or black cards each taking their own very different routes around Wonderland. We were black suits, three of us spades, and two clubs, which meant that we also split up to travel slightly different routes around the underground maze. All the usual suspects were there, we soon met the cook who baked the Queen's tarts and of course somebody had to steal them. We were introduced to the Cheshire cat and later attended the Mad Hatter's tea party which was truly amazing. Tweedledee and Tweedledum entertained us with acrobatics, twirling precariously over our heads, and finally, we entered the courtroom and find out who had stolen the Queen's tarts and to hear her utter those terrifying words OFF WITH THEIR HEADS! I could go on and tell you more, and believe me there is lots more to tell, but in doing that I would spoil some of the wonderful surprises you are treated to on your adventure underground. I cannot recommend this event enough, in fact, I would go back again tomorrow if I had the chance. 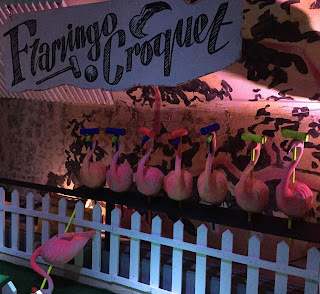 After the big finale, we were led back into the bar area where we played a game of Flamingo Croquet and had the opportunity to drink some more aptly named cocktails - all served in teacups. 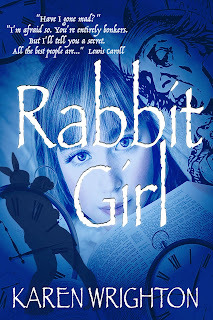 When Anna gave me the ticket she was unaware that I had begun a new novel, which is based loosely on the story of Alice in Wonderland. Scarily serendipitous eh? However, it was wonderful research for me, as well as it being a great day out and a truly inspired gift. 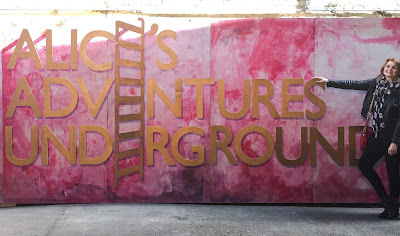 For more details on Alice's adventure underground follow the link here or click on the image below. 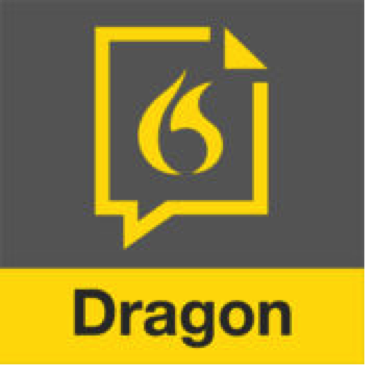 This week I have been experimenting with Dragon Dictation. I walk my dog Jinks every day for over an hour. I usually walk her in the woods, on the beach or at the Roman ruins along by the Norfolk Broads. An expert at multi-tasking, I have long used this time to catch up on Writing and Author Podcasts, listen to audiobooks and to use text to speech software to do a copy edit of my work. However, I never thought I could use this time for actually writing the first draft of one of my books - until now. 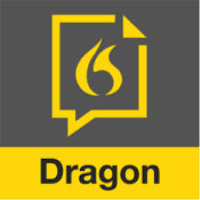 I purchased the Dragon app for my iPhone and armed with Bluetooth headphones and mic I thought I would give it a try. I must admit, I did feel a little self-conscious walking around the woods talking to myself. Luckily there were not many people around. It took a little practice, and the result was rather littered with mistakes, but in one hour I managed to 'write' almost four thousand words! Consequently, I am rather keen to keep this up and see if I can make the process produce a more accurate transcript of my words. With that in mind, I have just ordered a new headset with a drop-down mic so the microphone will be closer to my mouth. I'll let you know how I get on. So if you are walking in the woods and see a strange woman walking her dog whilst annunciating loudly; "Full stop - new paragraph," say hi - it's probably me! I took a short break from editing the second draft of Ice and Fyre to enjoy a day out with my two daughters. They treated me to afternoon tea at The Urban Jungle - a local eatery and garden centre where you sit in a virtual jungle to eat. They serve gluten free food by the bucket load. It was great to be able to enjoy a full afternoon tea - sandwiches, pastries, cakes and scones included! Later we took a trip down to the cinema and watched Beauty and the Beast, which was very good indeed. I got royally spoiled and had a wonderful break from all the hard work of editing. It was back to work this week though and I am now close to finishing the second draft of Ice and Fyre. Things are moving fast now. 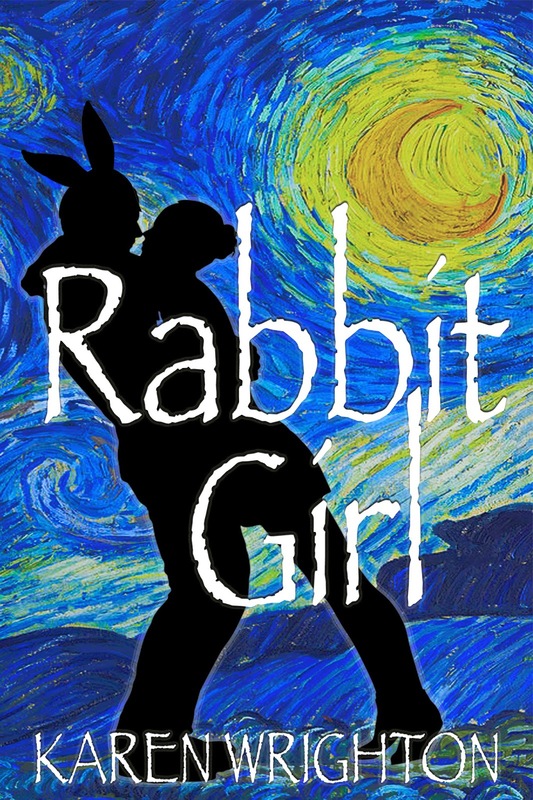 I'm also planning the first draft of my next book 'Rabbit Girl' and really enjoying writing the new characters - a change is as good as a rest (or so they say). 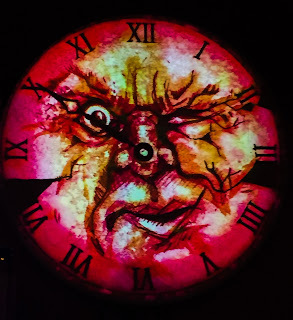 "Sanity is overrated. Look at you - you're as mad as a hat full of cats - all the best people are..."
Add to that a childhood traumatised by schizophrenia and Lissie generates enough material to keep a team of psychiatrists busy for years.